Chalmit®, formerly known as Andrew Chalmers and Mitchell Ltd, was founded in 1910 to manufacture and supply equipment for the large marine market based on the River Clyde. The company soon became a major supplier of lighting and electrical products to the marine industry in the West of Scotland and thereafter throughout the whole country. In the 1970’s, success in the Marine oil tanker business led to diversification into the wider oil and gas market, capturing 85% of the North Sea HID lighting requirement which is maintained to this day. The company’s involvement within the global oil & gas market expanded and resulted in a shortened version of its name to Chalmers and Mitchell. Throughout the world the company is now recognised by its product name, CHALMIT® . With the additional product demand in the International market, the company expanded its export potential by opening offices in Singapore and Abu Dhabi providing support and assistance in developing an extensive, long standing agency network. 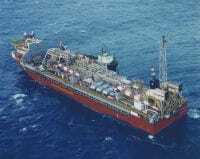 The subsequent growth in the FPSO market further increased the emphasis on the development of the company’s extensive Ex lighting portfolio. Following acquisition by the Whitecroft Group’s lighting division in 1995, Chalmers and Mitchell joined with Simplex Lighting to form Simplex Chalmit Lighting. This move gave Chalmit® access to the B.V. Industria (Holland) range of Ex ‘e’ fluorescent products which were updated and integrated into the Chalmit® hazardous area lighting portfolio. Chalmit® was purchased from Whitecroft in 1998 to become part of Hubbell Incorporated, within their specialist hazardous area business. As part of the Hubbell Harsh & Hazardous group, Chalmit® can now provide, in tandem with Killark and Hawke International, a wide ranging lighting project capability for IEC and a complete product range for NEC applications, including enclosures, fixtures, fittings, control stations, receptacles, switchgear, etc, for the provision of hazardous area and industrial lighting products. Certified to ISO 9001:2008 and ISO14001:2004, our commitment to quality and the environment has never been more apparent. Chalmit® products have approvals and certification from a number of internationally recognised bodies including, BASEEFA, SIRA, ERA, ITS, CSA (Canada), DNV, INMETRO (Brazil), CQST (China) and GOST (Russian Federation), covering Explosion protected classifications and I.P. ratings. Chalmit has recently gained accreditation for a number of luminaires under the latest IECEx scheme. Chalmit® maintains a highly active policy of quality management and development in all its functions and at all levels of its organisation. Please click here to download the Hubbell Quality and Environmental policy.